Pink Gazelle Productions: Authentic Lives…Authentic Works » Take the JPMF’s 29 Day Challenge! Take the JPMF’s 29 Day Challenge! Starting Sept. 29th: Take The 29-Day Challenge! Honour the legacy of fallen Calgary Police Service Const. John Petropoulos (PGP CEO, Maryanne Pope’s husband) by taking The 29-Day Challenge. WHAT IS THE 29-DAY CHALLENGE? The 29-Day Challenge is a fundraising campaign in support of the John Petropoulos Memorial Fund (JPMF). It kicks off on Sept. 29th, 2012, lasts 29 days and encourages people to donate $29 to the JPMF. The fundraising goal is $29,000. WHERE DOES YOUR $29 DONATION GO? Each $29 donation will go directly towards paying for professional speakers to deliver a one-hour safety presentation to a company, organization, association, school, conference, trade show or community event. If you’d like to know exactly which presentation your donation is supporting, we will let you know. We can let you know which group is hearing the safety presentation, what day it’s happening and where it’s happening – and you can take pride in knowing that you helped make conditions safer for first responders and workers across Alberta. The ultimate goal is to raise $29,000 for our Safety Presentation Program, which delivers safety messages across the province. These presentations make an impact and result in safer workplaces for everyone, including emergency responders. Const. 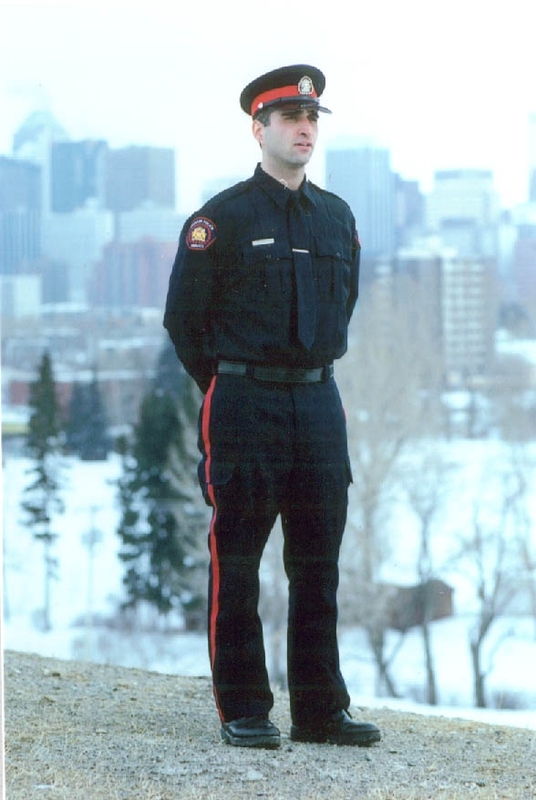 John Petropoulos passed away in the line of duty on Sept. 29th, 2000 while searching an unsafe workplace for a break and enter suspect. John fell to his death while searching the mezannine level, as there was no safety railing in place. HOW CAN YOU MAKE A DONATION? That’s easy! Just go to CanadaHelps and type in “JPMF” for the charity – then make a one-time $29 donation. If you’d like us to provide you with information about which safety presentation you’re supporting, be sure to include your contact information and a message saying you want to find out more about the progress of your contribution. If you don’t want to donate online, you can learn more about your donation options on our website. Or you can mail a cheque – made out to the “John Petropoulos Memorial Fund” – to #347, 440 – 10816 Macleod Trail SE, Calgary, Alberta, Canada, T2J 5N8.